‘A balanced diet is NOT chocolates in both hands’. 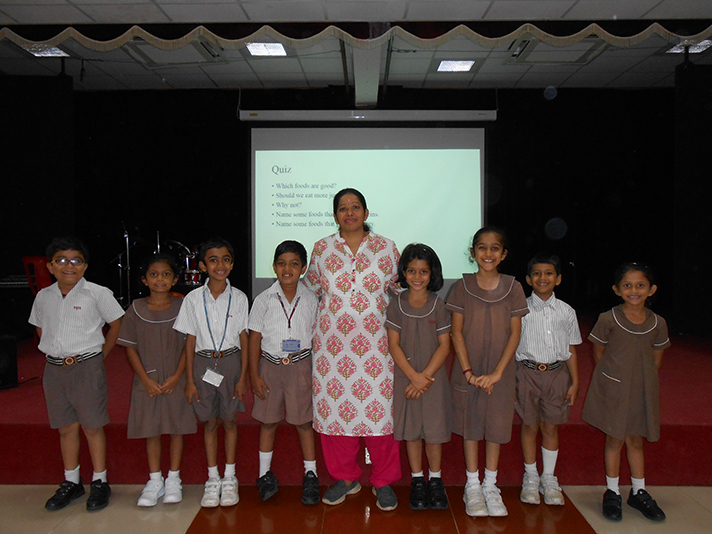 On 10th July 2018, Mrs. Vidhya Iyer a nutritionist spoke to students of Grades 1 and 2 about the benefits of eating healthy and balanced food. She emphasised on the importance of making healthy food choices and the nutritional benefit of various vegetables, fruits, grains, pulses and millets. 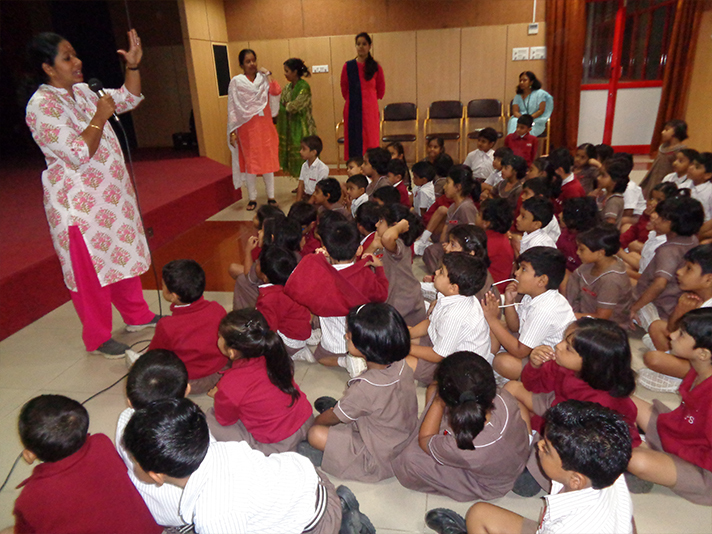 She also spoke about the impact of junk food on human body. 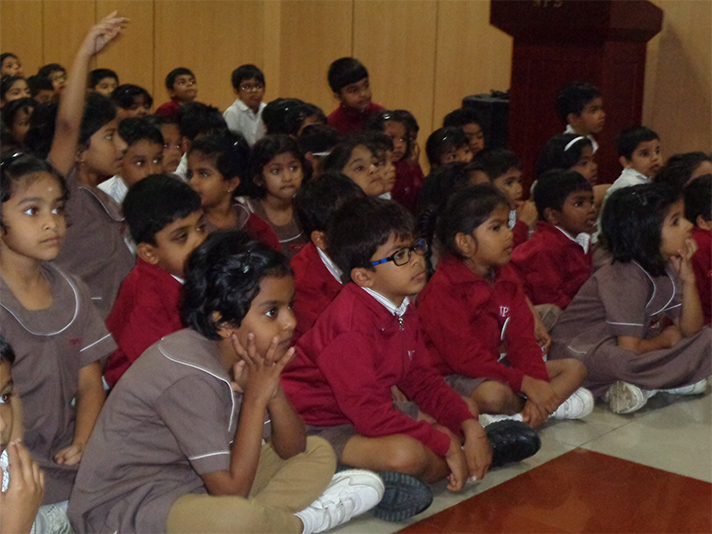 The session was filled with engaging talks and kept the little learners engrossed.